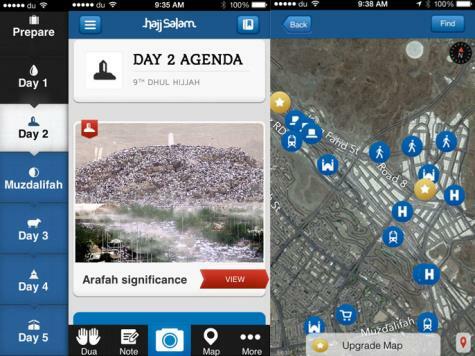 Dubai based start-up Hajjnet has launched a smartphone app dedicated to supporting Haj pilgrims. The app, which can run without a live internet connection, offers pilgrims the real-time, location and process based support required to allow them to be more focused on the spiritual aspects of Haj, avoid possible pitfalls and make the experience more safe and personal. The features include prompting pilgrims to read or hear the appropriate prayers at the right time and place; counting the number of circuits made around the Kaaba; and full camera, map and social media integration. The users can also tag their tent in the app’s map to be able to find it when returning to Mina, which is a temporary city where the pilgrims stay for two of the five nights. They will also be able to find the nearest mosque or hospital on the map. It will also allow users to create and manage a personal list of duas or prayers for loved ones, packing list to help prepare them for the journey; a digital journal to help them record and share moments and photos. 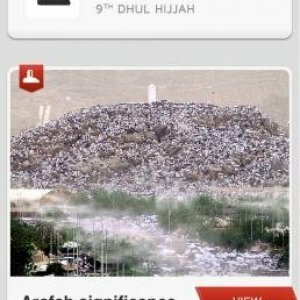 It also features instructional videos on how and when to wear the Ihram towels, the white garments that pilgrims must wear before performing their religious observances.